Smartphones lovers are happy because Nokia has been released their first ever “Android” based running operating system (OS) for users. Nokia X Smartphone, Nokia X+ Smartphone and Nokia XL smartphone are flagship series and all Nokia smartphones series released at Mobile Word Congress 2014 (MWC14). In this article we cover all aspects of Nokia X “Android” smartphones price, specifications, reviews, features, availability and other details also. As I mentioned earlier about Nokia X smartphone operating system (OS) supported by Android OS, v4.1.2 (Jelly Bean) but here I want to share some crucial news about Android OS, v4.1.2 (Jelly Bean), in that you can find Google services like Google Play Store and services. 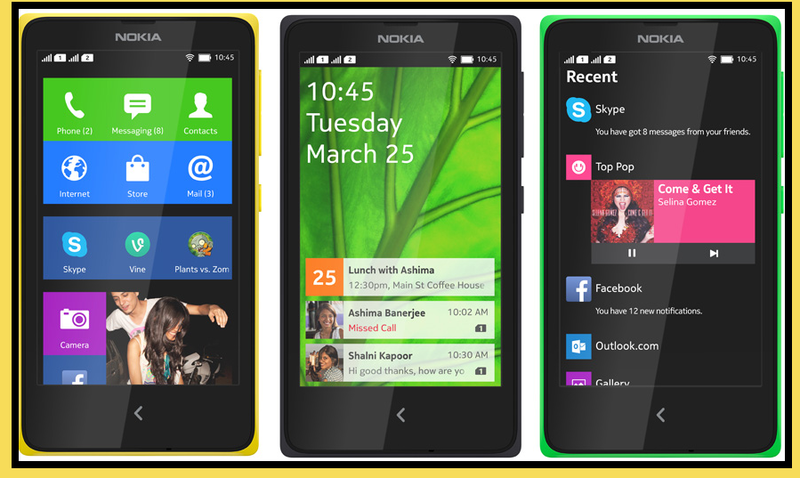 If you used the Windows Phone then you feel that its mobile graphic user interface – GUI looks similar as Windows Phone. 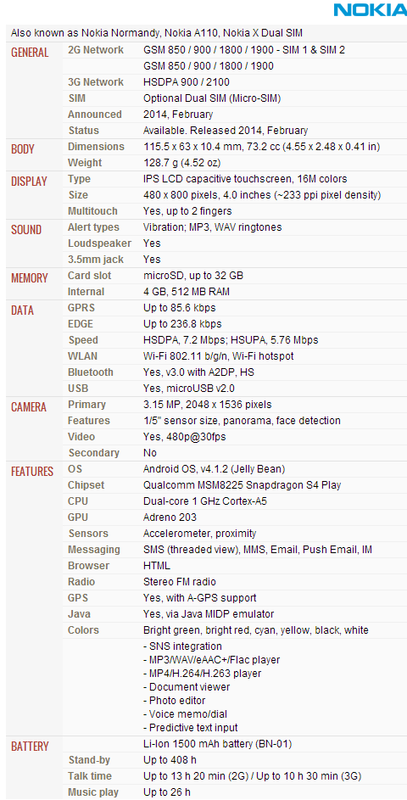 If you want to see or take experience of three different Operating system user interface smartphone s for example Windows Phone smartphone, Android based OS and Nokia Asha than Nokia X, Nokia X+ and Nokia XL. All brand new Nokia Flag series are best choice. Nokia X official price by Nokia is around €89 Euros and Dollar $122. In February 2014 Nokia X has released. Now anyone can official buy Nokia X including Asian developing markets Such as Malaysia, India, Pakistan and other Asian countries.